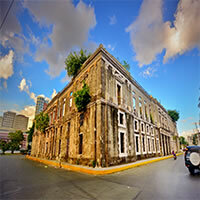 The capital city of Manila boasts a deep Spanish history. The cosmopolitan city is set on the eastern shore of Luzon Island with spectacular ocean views and stunning sunsets. 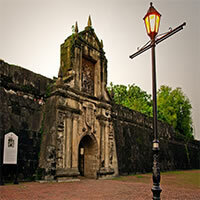 Explore the Spanish settlement where the old Fort Santiago and the St Augustine Church are located. Marvel at the wide array of fantastic museums and galleries. Explore the famous Rizal Park and see the iconic landmark, the Rizal Monument. Shop at the largest mall in Asia and the bustling street markets and dine on delicious Filipino-Chinese in the oldest Chinatown in the world. Fort Santiago, Manila Cathedral, Intramuros, Casa Manila, San Agustin Church, National Museum, Rizal Park, Rizal Monument and so much more! The picturesque tropical island getaway of Boracay offers miles of golden beaches lined by glistening warm water featuring world-class dive sites, shipwrecks, hidden coves, and coral reefs. The island is known for its exclusive resorts and abundance of beaches fringed by palm trees and lush vegetation. The cuisine on the island is brimming with fresh fish and seafood and the unsurpassed island nightlife has something to suit everyone. White Beach, Puka Shell Beach, Diniwid Beach, Crocodile Island, Mt Luho, Bat Cave, Boracay Oceanarium and much more. The ancient city of Cebu boasts idyllic islands, stunning beaches, vibrant coral reefs and spectacular diving sites. The oldest city in the Philippines holds a deep Spanish heritage that dates back to the 1500`s. Mactan Island was the site of the Battle of Mactan in 1512, the Lapu-Lapu shrine stands tall here and depicts the legendary hero. See the Basilica del Santo Nino, the oldest Roman Catholic Church in the country and the neighboring Magellan`s Cross. Fort San Pedro stands tall as the oldest and smallest triangular bastion in the Philippines. Fort San Pedro, Magellan`s Cross, Basilica del Santo Nino, Lapu-Lapu Shrine, Kawasan Falls, The Carbon Market, Casa Gorordo Museum, Taoist Temple and so much more! Bohol is one of the many islands of the Philippines. This lovely island is located in the Visayas and it is very famous for its hills, beaches and eco-tourism. One of the famous tourist attraction of Bohol are the Chocolate Hills, which consist in 1268 cone-shaped hills. The hills are spread over an area of 50 square kilometers. You can also enjoy a beach day at Panglao Island, one of the most beautiful beaches in the area. Chocolate Hills, Panglao Island, Hinagdanan Cave, Nalusuan, Alona Beach, Philippine Tarsier Sanctuary. El Nido, is located on Palawan Island and it is a first-class protected area close to the Bacuit archipielago, a group od islands with steep karst cliffs. It is known for its white-sand beaches, coral reefs, limestone cliffs, luxury hotels. El Nido is ranked as one of the most beautiful beaches in the world. Caves and Lagoons, but mostly, enjoy relaxing at paradise! 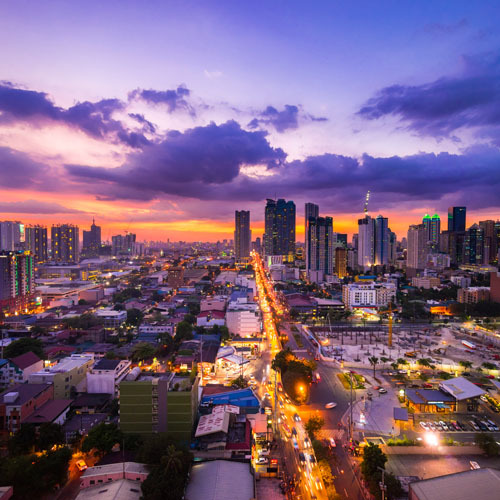 Manila is the biggest city in the Philippines, set on the country`s biggest island of Luzon. Spectacular sunsets can be seen over Manila Bay on the popular Baywalk along with waterfront dining. Go shopping at the largest mall in Asia and bustling outdoor markets, walk around the ancient walled city of Intramuros and visit the ancient St. Augustine Church and Fort Santiago. Best Philippines Beaches! If you wish to visit Philippines, then Manila, the ideal place to make your base during your trip! This city will allow you to hop on and off between the different white sand beaches of surrounding area, the Cathedral, City views and City skylines. Up next, fly into Boracay, an amazing island in the Philippines! Apart from its white sand beaches, Boracay is also famous for being one of the world's top destinations for relaxation! Immerse yourself into this vibrant and lively place. Here visitors will find a wide range of different activities that will make their trip be a once-in-a-lifetime experience. Explore and enjoy Philippines! If you wish to visit Philippines, then Manila isthe ideal place to make your base during your trip! This city will allow you to hop on and off between the different white sand beaches of surrounding area, the Cathedral, City views and City skylines. 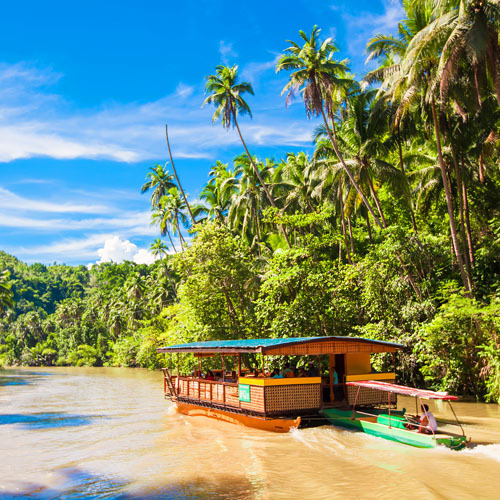 Up next, enjoy a flight to Cebu, the city of narrow coastlines and high mountains! Prepare yourself to enjoy the wonderful crystal water of the beaches and white sands, then amuse the stunning sunsets. Last but not least, fly into Boracay, an amazing island in the Philippines! Apart from its white sand beaches, Boracay is also famous for being one of the world's top destinations for relaxation! Immerse yourself into this vibrant and lively place. Here visitors will find a wide range of different activities that will make their trip be a once-in-a-lifetime experience. Combine Manila, Bohol and Boracay with flights between cities. Combine Manila, Cebu and Bohol with flights between cities. Combine Manila and Singapore with flights between cities. Asian top destinations together! Explore Hong Kong, the place where East meets West! Western culture coexists seamlessly with traditional philosophy and practices of the Orient offering unique experiences to Hong Kong's tourists. Visit one of the biggest attractions, Hong Kong Disneyland or the world's tallest, bronze Buddha, you can move on to the Lantau Peak, and admire the view of the surrounding city skyline, the world-famous Victoria Harbor and Kowloon, towering skyscrapers and peaceful green hillsides! Then fly to Macau, experience the night life style visiting casinos and amusing yourself with spectacular night city views! Here you can visit Guia Fortress, Macau Tower, Kun Iam Statue, A Ma Temple or Senado Square. Up next, fly into Manila, the ideal place to make your base during your trip! This city will allow you to explore the different white sand beaches of surrounding area, the Cathedral, City views and City skylines! 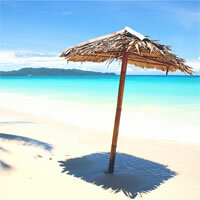 Last but not least, fly to Boracay, an amazing island in the Philippines! Apart from its white sand beaches, Boracay is also famous for being one of the world's top destinations for relaxation! Immerse yourself into this vibrant and lively place. Here visitors will find a wide range of different activities that will make their trip be a once-in-a-lifetime experience. Cosmopolitan Capitals. Begin this amazing experience flying into Bangkok, one of Asia's most dynamic cities, packed of famous entertainment venues and cultural landmarks such as The Gran Palace, Wat Pho, Wat Arun and Wat Traimit (the Temple of the Golden Buddha). No trip to Bangkok is complete without a visit to Sukhumvit, home to international brand hotels, shopping malls and nightlife hotspots. Combine this incredible getaway flying into Manila, the heart and the soul of the Philippines and sightsee Intramuros area, the oldest part of Manila where you will find San Agustin Church, Fort Santiago and Casa Manila. Rizal Park or Luneta Park is another famous attraction across the Roxas Boulevard and the Manila Bay. Combine Manila and Bohol with flights between cities. Visit and explore Manila and Sydney! If you wish to visit Philippines, then Manila is the ideal place to make your base during your trip. This city will allow you to hop on and off between the different white sand beaches of surrounding area, the Cathedral, City views and City skylines. Then fly to Sydney, a city which is surrounded by one of the largest natural harbors, and immerse yourself into this vibrant and lively place. Here, visitors will find the perfect fusion of cultures, religions and modernity, which will provide them with a wide range of different activities that will make their trip be a once-in-a-lifetime experience. Discover Shangai and Manila Wonders! Explore Shangai, discover their enchanting traditions and heritage! Here you will find the perfect blend of tradition, culture and modernity. Visit The Bund, The Pearl Tower, Jade Buddha Temple or Pudong District, one of the most amazing places in China. Then fly into Manila, the ideal place to make your base during your trip! This city will allow you to explore the different white sand beaches of surrounding area, the Cathedral, City views and City skylines! Every reservations went without an issue. Thanks! Excellent experience with all travel partners. Pleasure to have went with TripMasters.